Does it really matter what kind of shower gel we use on our bodies? Wouldn't an affordable, supermarket brand suffice? The answer is a simple, no. Shower gels are one of the few cleansers that come into contact with a large skin surface area - 1.75 m2 to be exact. Whether your skin is cleansed and its health maintained is dependent on the importance attached to the quality of the ingredients used as well as whether a cleanser contains mild surfactants. If the balance between the cleansing and care effect is off, the skin may rapidly become dry and irritated. Shower gels should not only captivate the senses (certainly an essential property) but also match the requirements of the skin while cleansing. The use of high-quality ingredients and how they are processed: Thought should be put into the raw materials used. The production processes also play a vital role and can influence the quality of the substances that make up a cosmetic product. Cold-stirred shower gels guarantee the extensive preservation of the conditioning and caring substances of raw plant materials. Lipid-regulating and moisturising ingredients such as plant oils or specific ferments balance the degreasing effect of shower gels on the skin. The cleansing and care effect of a shower gel should both bounce off of one another. The scent of your favourite shower gel should be sourced from natural essential oils. Moreover, these essential oils should be obtained from controlled organic farming which ensures that the oils are of high quality. Furthermore, your skin benefits from the effects of the individual natural essential oils added to the shower gel formula. A special harmonious composition of mild sugar tensides cleanse the skin. They do not cause any irritations or sensitivity. Forgoing the use of sulphate surfactants is indeed a step in the right direction. One of the essential characteristics of a good tenside blend is the ability to transform into foam upon application. 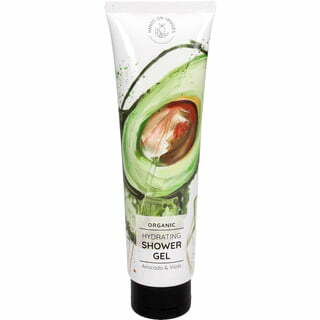 This ensures that the shower gel is easily distributed on the skin.